Finding an original gift for your dad for Father’s Day can leave you frustrated. You may also struggle to pick something that shows how much you appreciate your father and what he’s done for you. If this sounds like you, don’t worry. That’s because HKT has a superb range of Father’s Day gifts for a wide range of budgets and all types of dads. Okay, the free consultation is not your present to your dad. That’d be pretty cheap. What you’re actually doing is booking him a surprise meeting with one of our style consultants at HKT to discuss the bespoke suit, shirt, or other made to measure garment you’d like us to create for him. During this consultation, we’ll discuss his personal style, make recommendations, and select fabrics from our vast collection of exquisite cloths. Following this chat, we’ll create a pattern (think blueprint) for your dad’s garment by taking a series of precise measurements from around his body. Our expert tailors will then use this pattern to create a one-of-a-kind garment that fits your father perfectly and shows him how much he means to you. The only thing you’ll need to do is pick up the bill at the end – sorry, somebody has to. 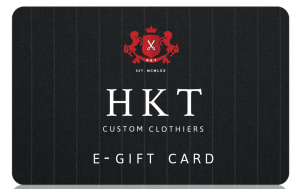 Another special Father’s Day present you could choose to give to your dad is an HKT gift card. 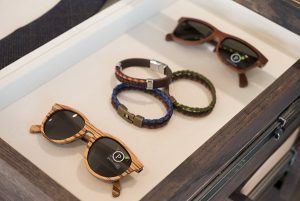 This will allow him to buy a stylish piece of clothing or accessory he really wants, and will stop you worrying about whether he’d rather receive some made to measure jeans than a pair of tailored golf pants. Our gift cards are available in the following amounts: $50, $100, $250 and $500. 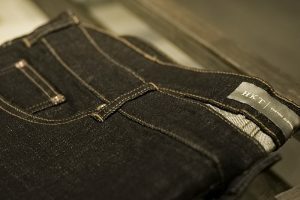 You can buy these online at hktclothiers.com/product/hkt-gift-cards, or give us a call 770-458-8682 to discuss what you need. Our bespoke father and son shirts are a wonderful gift, and especially if you’re buying a Father’s Day present for your husband or partner from your son. We can make our premium handmade shirts in any adult size and for children aged one year and upwards. Just imagine the men in your life wearing matching shirts made from one of our world-class fabrics. Or how about dad wears a pattern in one color and junior wears the same pattern in another color? 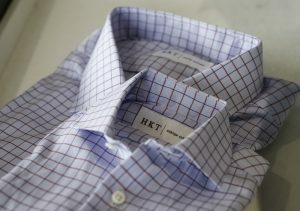 There are also many bespoke options you can choose from when it comes to our father and son shirts. 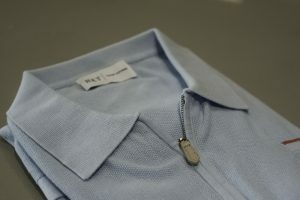 This includes having a special message sewn into the shirt, or having each shirt monogrammed. As well as creating exquisite made-to-measure garments, we stock a carefully selected range of ready-to-wear garments at our store in Doraville, Atlanta. These luxury items include elegant tailored suits, stylish sports jackets, shirts made from the finest cotton, pleated and flat fronted pants, high-quality jeans crafted from superior denim, and a selection of T-shirts from some of the world’s most luxurious brands. We also offer a number of accessories that will make superb gifts for dads on Father’s Day. 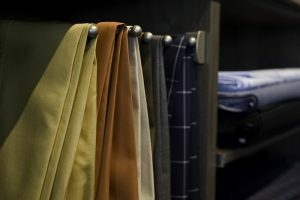 These include sumptuous Italian silk ties from DolcePunta and Italo Ferretti, premium pocket squares in a wide range of colors and patterns, contemporary and traditional cufflinks, a great selection of designer sunglasses, luxury Italian socks by Marcoliani, and flawlessly crafted custom leather belts. A polo shirt is a great choice for a Father’s Day gift because they’re super versatile, look smart and keep bodies cool during the heat of the summer. The only problem is that most polo shirts bought from high street stores don’t fit particularly well and are a made from a low grade cotton or cotton blend. We don’t think that’s good enough for any father, which is why we’ve started to design and create custom made polo shirts that fit perfectly and are of the highest quality. Having a tailored polo shirt made for a loved one also means you or its recipient can select which fabric it’s made from and personalise it however you want. For example, there are lots of collar options available, the fit and length of the sleeves can be adjusted, and you could go for one solid color or opt for a contrasting fabric for the collar, placket and sleeve edges. We only use premium denim for our tailored jeans, which means they feel fantastic wear. We’ll also take a series of precise measurements from your dad’s body to make sure they’re a perfect fit. And your father will be able to choose from a wide range of colors and styles, and customise many elements to create something truly unique and special. This includes selecting from a range of pockets and deciding where they’re placed, choosing how many belt loops feature on the waistband, and picking what color of cotton we use to stitch together all of the panels which create our superb tailored jeans. If your dad plays golf, you may have thought about getting him a golf-related gift for Father’s Day. If that’s the case, look no further than our made to order golf trousers. They can be created from a wide range of premium stretch fabrics, including some that’ll definitely get your dad noticed on the golf course. So after reading all about our luxury Father Day gifts, we hope you now feel confident about what you’re going to give your dad on June 17. Of course, if you do have any questions about any of these items, or anything else, please give us a call on 770-458-8682 or email HKT at service@hktclothiers.com; or why not pay us a visit at our store so you can chat to one of our style consultants about the type of gift you want to get your dad and view all of the exquisite garments and accessories we stock? In addition, please remember that our custom made garments and ready-to-wear clothing and accessories from world-leading brands are not just for Father’s Day. They’ll also make fantastic birthday and Christmas presents for any man in your life, including husbands, dads, grandads, uncles and bosses at work.